Lombok is famously beautiful both in and out of the water. There's spectacular diving, big surf breaks off the south coast, and the coastline has beaches as near tropical idyll as you can imagine. For years Lombok has been touted as the next major island destination, and the new international airport has brought with it a greater diversity on the list of the best places to stay on Lombok. 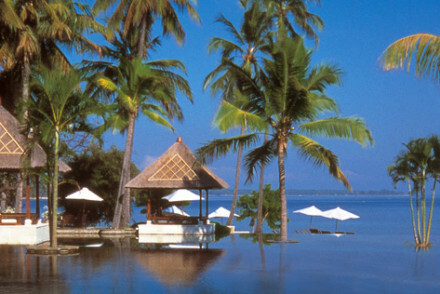 Lombok's coastline varies from dramatic volcanic headlands to pristine white sand. The southern coast is becoming famous for its surf breaks. Lombok is an amazing spot for divers and snorkellers. The famed Gili Island group is just off Lombok, rising out of warm, turquoise waters bustling with beautiful sea life. The deepwater reefs slightly further out are home to sharks, rays and friendly turtles. Lombok is also a great destination for people who want to trek through rainforests. Inland is the spectacular Mount Rinjani - Indonesia's second largest volcano, and a great place to head off hiking. There's also the crater lake, Segara Anak, surrounded by exotic wildlife, including leopards, cats, monkeys and barking deer. If you fancy taking a rest then the volcanic landscape is dotted with tempting natural hot springs in tropical settings to rival the best spas. If you're coming in the dry season then be sure to book ahead as the best places to stay in Lombok will get quickly filled up! The Qunci Villas is the kind of beach resort you probably daydream about it. Its infinity pool overlooks the sandy beach and ocean beyond, whilst the one and two-storey villas are surrounded by a lush tropical garden. The fact that the villas are well spaced and comfortably proportioned means that this is also one of the best places to stay on Lombok for families. 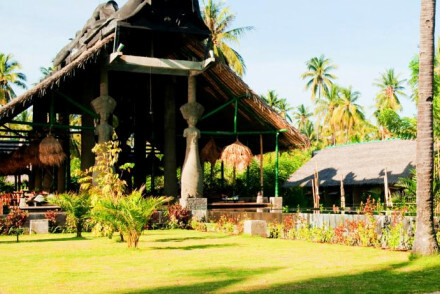 The beachside Tugu Hotel Lombok boasts private villas in a tropical setting. The accommodation is typically oriental in design, whilst you can also enjoy romantic dinners at sunset on the beach from the restaurant. With spa facilities to boot, it's a truly dreamy stay. The Oberoi does an excellent job of ticking all the boxes. Accommodation is in thatched roofed villas surrounded by gorgeously landscaped tropical gardens, it's right beside its own private, sandy beach, there's an award-winning spa, you're next door to an 18 hole golf course and easily located for the Gili Islands. If you think a self-catering option would best suit your needs then browse through the wide variety available online with our partner Booking.com. Lombok's warm year-round, though you're probably best off visiting in the dry season - from May through to September. That said, the wet season doesn't experience a huge amount of rainfall and is less humid, so it's still a very viable option. Expect the island to also be quieter and cheaper at this time. Visitors can fly into Lombok Airport, served by a number of destinations in the region. From here, take the bus on towards your finals destination. Browse through our list of all the best places to stay in Lombok. Expand your search to the best places to stay in Bali. Exquisite resort surrounded by lush vegetation, on Mangsit Beach. Chic suites with private balconies and original local art, villas add infinity pools and living areas. Yummy food served in a casual setting. Spectacular forest and beach views. Romantic Break - Private and romantic, think candlelit dining on the beach, outdoor showers and breakfast taken on your private balcony. Hideaway - Delcicious food, pristine beaches, luxurious villas and pampering spa treatments allow no reason to leave the property! Birdwatching - Sit out on your private balcony in the lush canopy and watch for the wide variety of local birds. Great walks - The resort faces onto the beautiful Mangsit Beach, perfect for a tranquil early morning walk. A beach side retreat with private villas and spacious oriental bedrooms with balconies. Enjoy romantic outdoor dining on the beach or at the hotel restaurant. The Tugu Lombok offers numerous exciting activities and a relaxing spa area. Tropical island bliss. Honeymoons - Enchanting suites, with stunning views over the bay and achingly romantic couples dining anywhere on the property or the beach. Beach Life - Stroll along picturesque beaches with some of the best diving, surfing and snorkelling anywhere. Cooking classes - Learn the ancient dining and culinary traditions of Lombok with a trip to the local market followed by a cooking class. Surfing - Catch some of the legendary waves of Lembar and Bangko-Bangko. 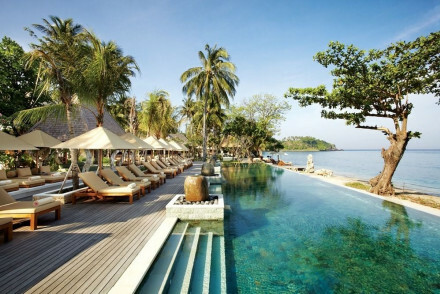 Luxury tropical resort on a stunning tranquil island. Balinese styled cottages with four poster beds and private balconies with sea or garden views. The hotel boasts a range of romantic dining venues for couples, a glorious spa and whole host of beachside activities. An ideal retreat for couples. Hideaway - Nestled in a 24-acre private estate on the blissfully quiet island of Lombok, boasting secluded villas with elegant furnishings. Spa breaks - Indulge yourself in the glorious spa providing traditional Balinese, Thai, Western and signature Oberoi therapies. Local markets - Explore the market of Tanjung village having arrived in the traditional manner by horse drawn cart. Diving - Make the most of the crystal clear waters from the hotels dedicated PADI certified dive centre.